The weather has definitely cooled down, though it still fluctuates between around 17 to 24 degrees. 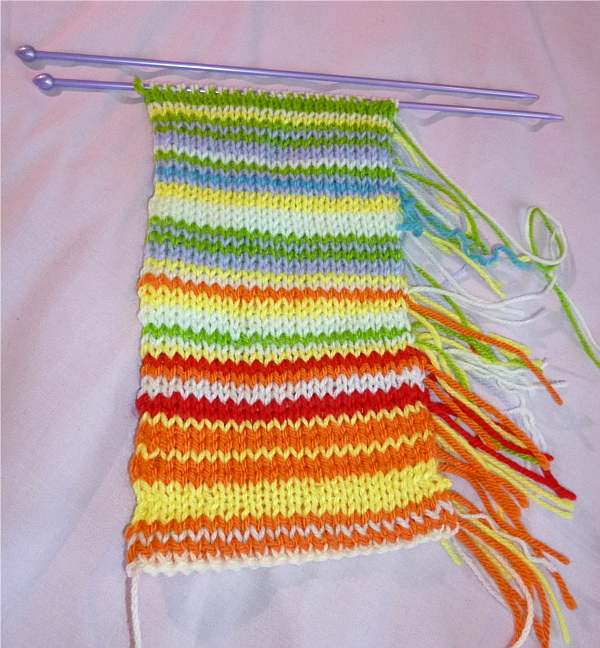 I am still enjoying the project, and I look forward to finding out what colour I will be knitting with each evening. Hopefully there'll be more blues and greens and perhaps even grey next month.